If as Christians we are to win over souls with our love and excellence, we need to embrace the global shift. Now culture is a sneaky thing. It can make person trustworthy or it can stagnant growth or it can misinterpret love. Recently I came across a talk by Erin Meyer presenting her book The Culture Map. ** In this study she dissects areas of communication and teamwork that are points of tension due to differences in cultures. She arranges them into nine key areas: Communicating, Evaluating, Leading, Deciding, Trusting, Disagreeing, Scheduling and Persuading. Each area has an extreme based on cultural preference. Low-context: Good communication is precise, simple and clear. Messages are expressed and understood at face value. Repetition is appreciated if it helps clarify the communication. High-context: Good communication is sophisticated, nuanced and layered. Messages are both spoken and read between the lines. Messages are often implied but not plainly expressed. Egalitarian: The ideal distance between a boss and a subordinate is low. The best boss is a facilitator among equals. Organisational structures are flat. Communication often skips hierarchical lines. Hierarchical: The ideal distance between a boss and a subordinate is high. The best boss is a string director who leads from the front. Status is important. Organisational structures are multilayered and fixed. Communication follows set hierarchical lines. Task-based: Trust is built through business-related activities. Work relationships are built and dropped easily, based on the practicality of the situation. You do good work consistently, you are reliable, I enjoy working with you, I trust you. Relationship-based: Trust is built through sharing emails, evening drinks and visits at the coffee machine. Work relationships build up slowly over the long term. I've seen who you are at a deep level, I've shared personal time with you, I know others well who trust you, I trust you. Linear-time: Project steps are approached in a sequential fashion, completing one task before beginning the next. One thing at a time. No interruptions. The focus is one the deadline and sticking to the schedule. Emphasis is on promptness and good organisation over flexibility. Flexible-time: Project steps are approached in a fluid manner, changing tasks as opportunities arrive. Many things are dealt with at once and interruptions accepted. The focus is on adaptability and flexibility is valued over organization. Now here’s a small case study from our OM office I’ve recently come across: A friend of mine was telling me how he, as an African, finds it okay to walk into an office without knocking. To me, as a westerner, that’s disrespectful. You don’t just barge in like you own the place! What would upset one (me) would be a sign of comfort and emotional closeness to another (him). A small, simple difference, yet it points straight back to Meyer’s key area of ‘Scheduling.’ While I would prefer to focus on work results (first work, then play), his priority is whether we both feel welcome and accepted, time frame is secondary as flexibility is more appreciated and noticed. This also points to Trusting – I know you therefore I trust you. If you can’t come to make small talk, I can’t trust your work because you are a stranger. Is his knocking—or lack thereof—going to push against a monolithic immovable culture and reap personal judgement instead of explaining and listening? How much freedom to be different do we give each other in brotherly love? Knowledge and context change our reactions into responses. Our judgement of another’s strengths, weaknesses and even trustworthiness is highly bent by our own cultural background. In the light of the global shift we ought to see how our strategy, work environment and missions in general most likely needs a ‘revamp.’ I’m happy to see movements that rethink the typical western model of missions and create new structures and principles more applicable to the majority of Christians globally today. I’ve interviewed a South African colleague on the topic of what Africans have to uniquely offer in missions and the collective community approach, the relational ease and simpler life standards came up as strengths. The South African Indian community with their caramel skin complexion can easily blend into any country in the middle east, Latin America or gypsy community within Europe. The European-descendant Afrikaans are rich in expertise, strategy and resources. 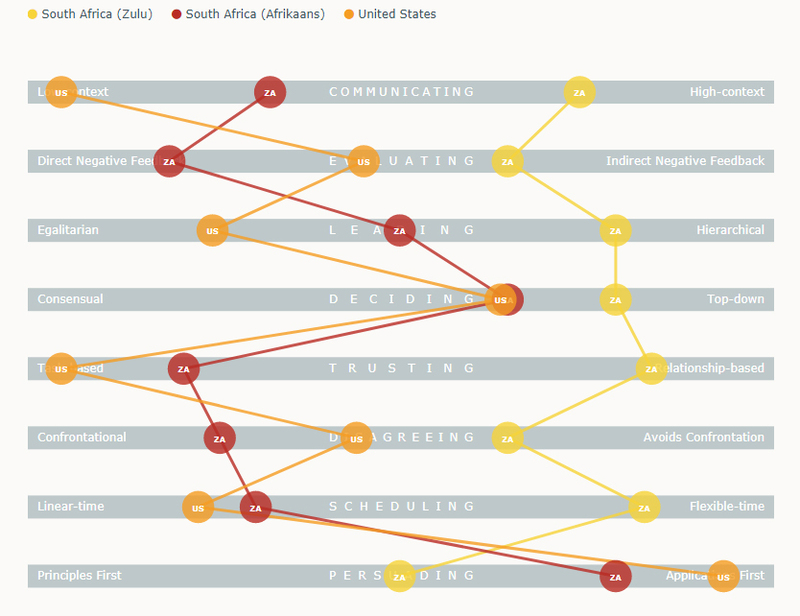 Each one of these South African subcultures has unique strengths which need be recognised and respected. Are we willing to put down our cultural glasses to actually see the strengths according to the new scales, or are our well-used comfortable standards blocking our view? May OM be a place of listening, mutual respect, deeper understanding and trust. Lenka is a Slovak national, soon to be married to a South African, who’s been serving with OM since 2012 in various countries, after completing her degree in evangelical theology. She loves storytelling, chocolate mousse and dogs.